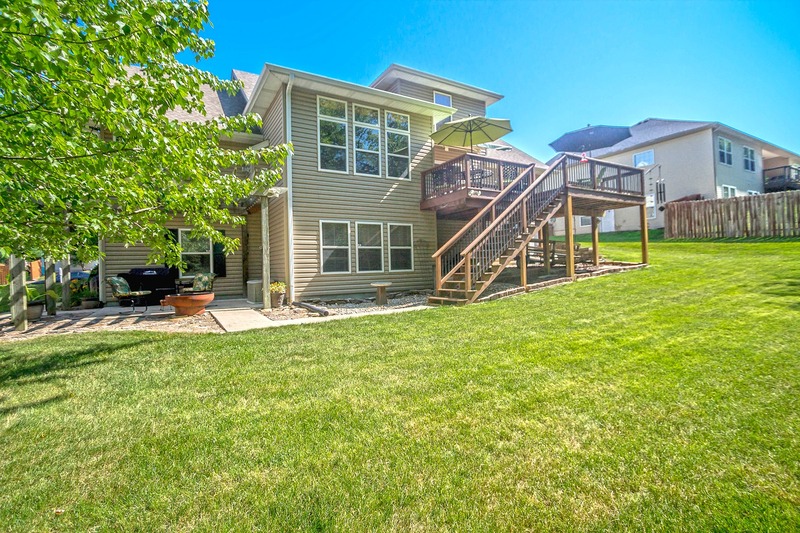 Step inside this 1.5 story walkout home from the charming front porch! 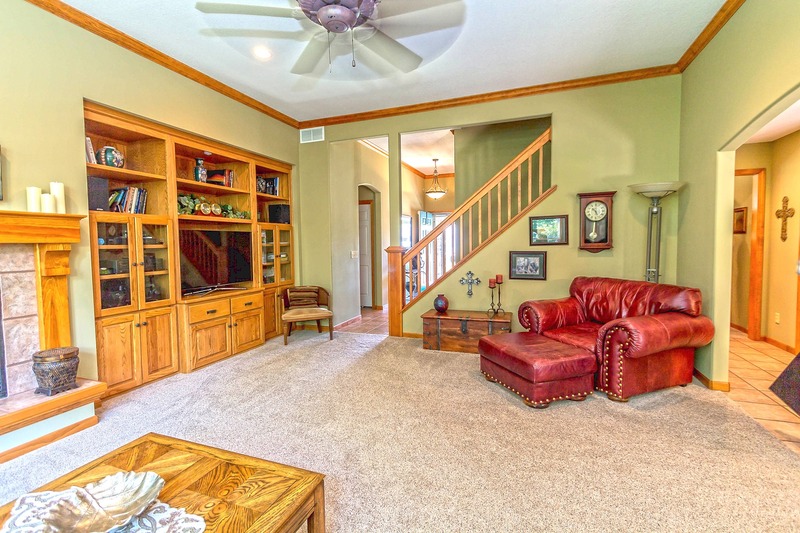 The foyer opens to an Office which could also serve as a great Formal Dining Room, depending on your needs. 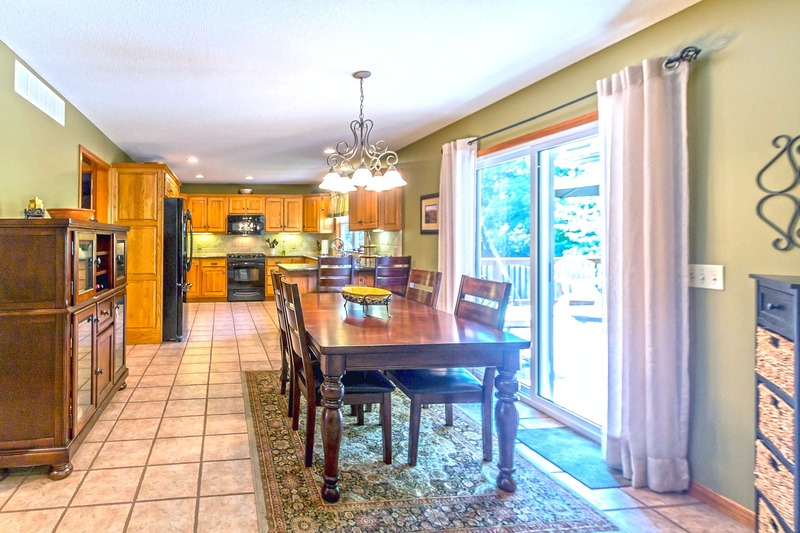 The Living Room leads to the Breakfast Room and Kitchen, providing a spacious and open feeling. 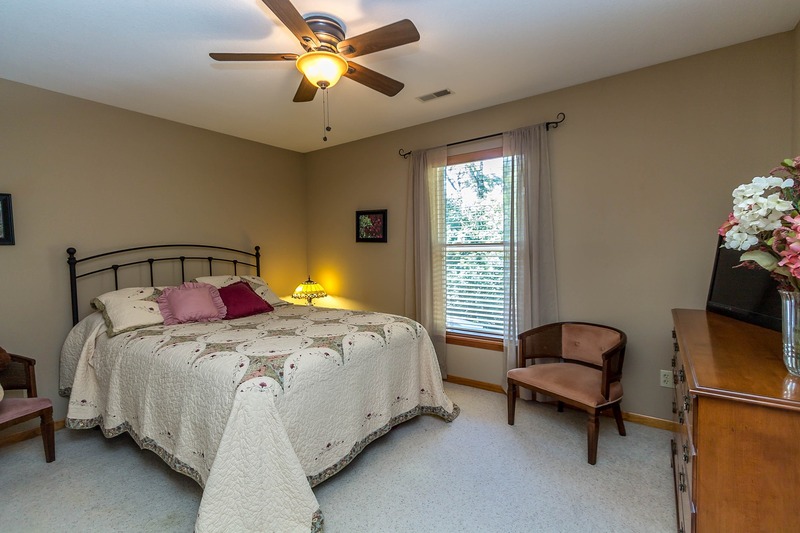 Main floor Master Suite, 2 bedrooms up with a full bath, and 1 lower level bedroom along with a full bath. 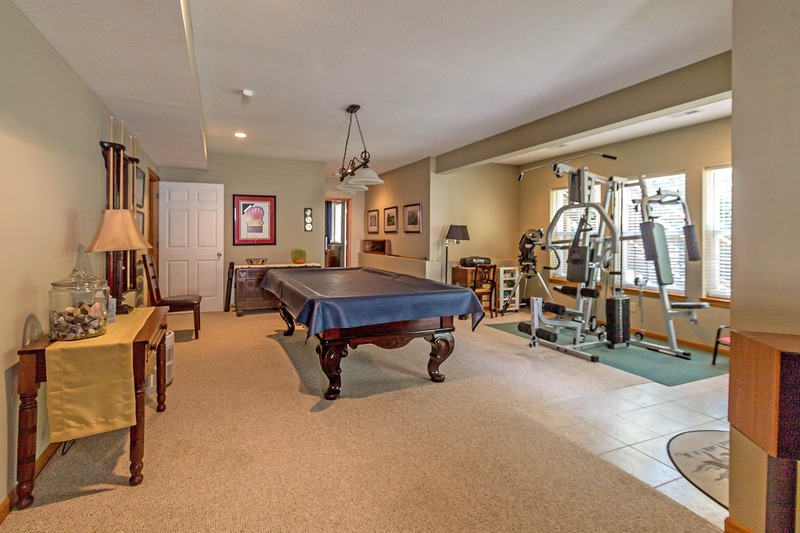 Downstairs Family Room and Rec Room that walks out to the patio and backyard. 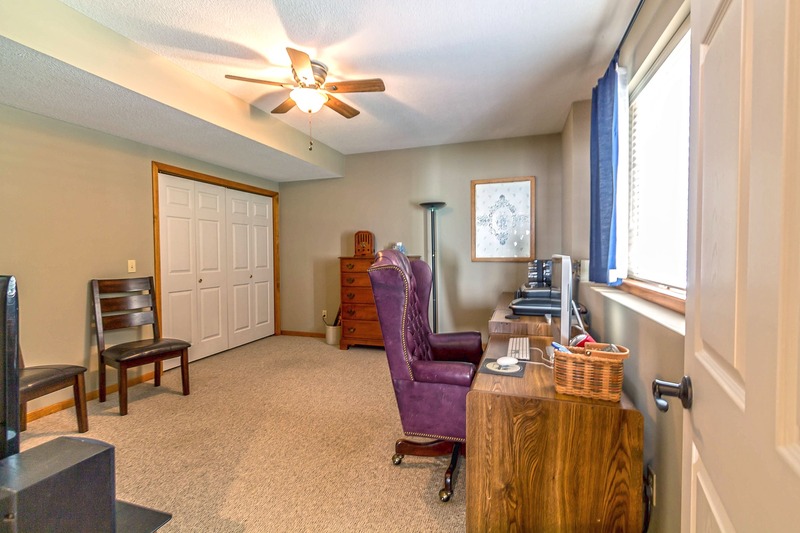 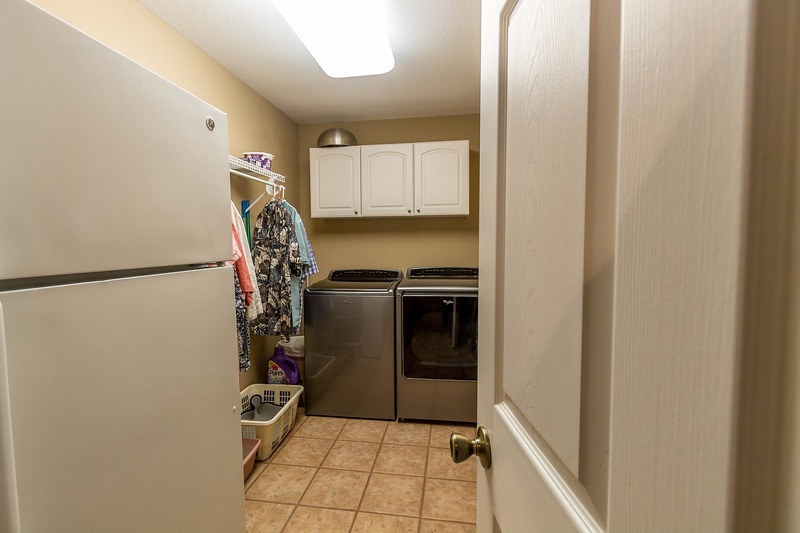 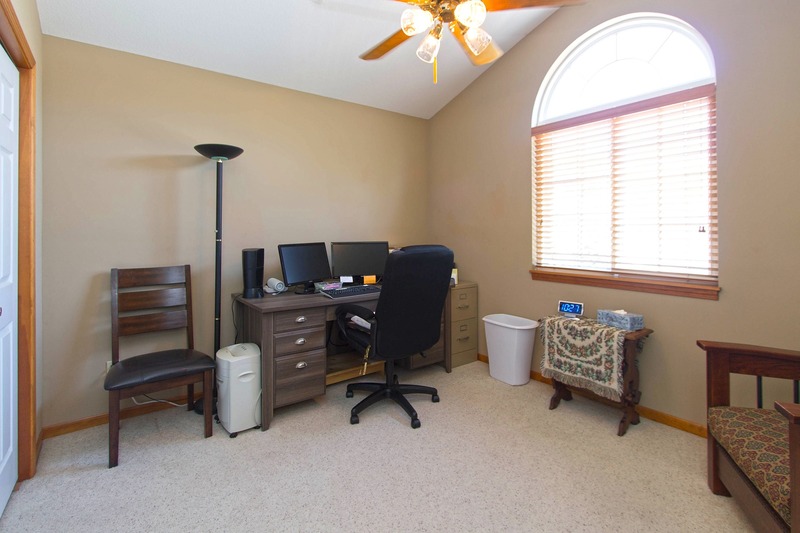 Plenty of storage space, too- extensive walk-in attic storage is located off of Bedroom 2, plus a total of over 600 unfinished square feet in the lower level! 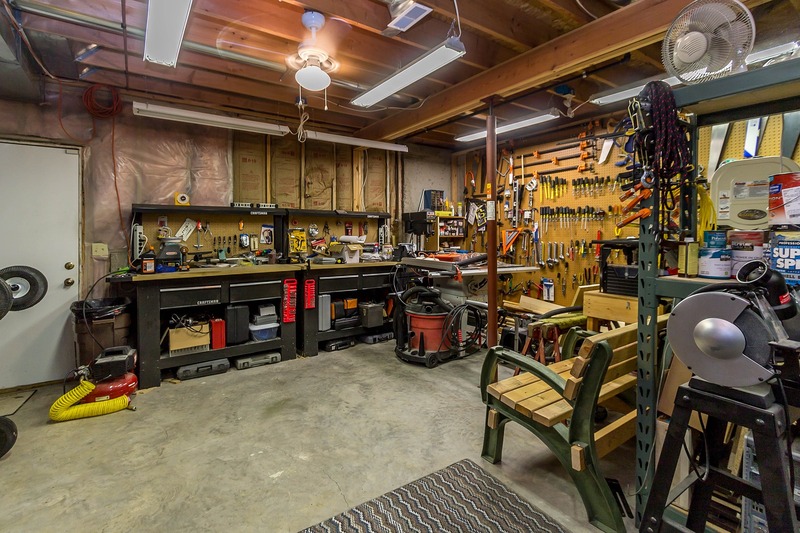 John Deere doors provide useful exterior access, and a workshop is ready for your projects. 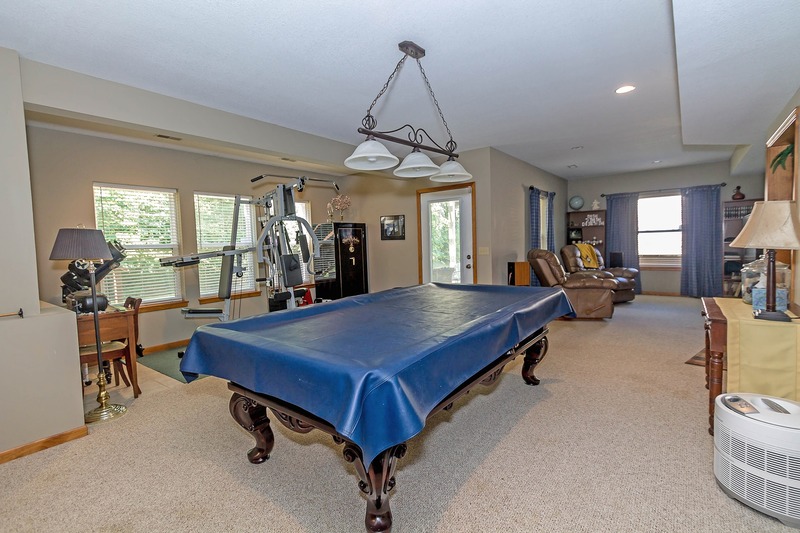 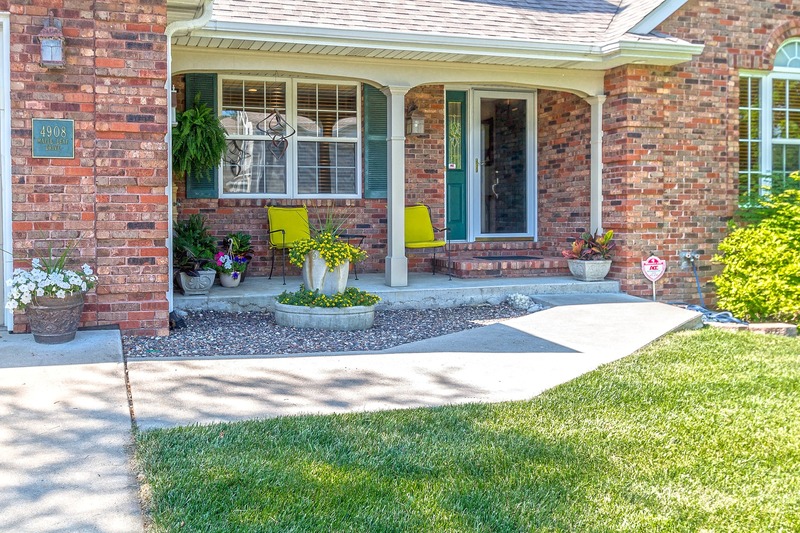 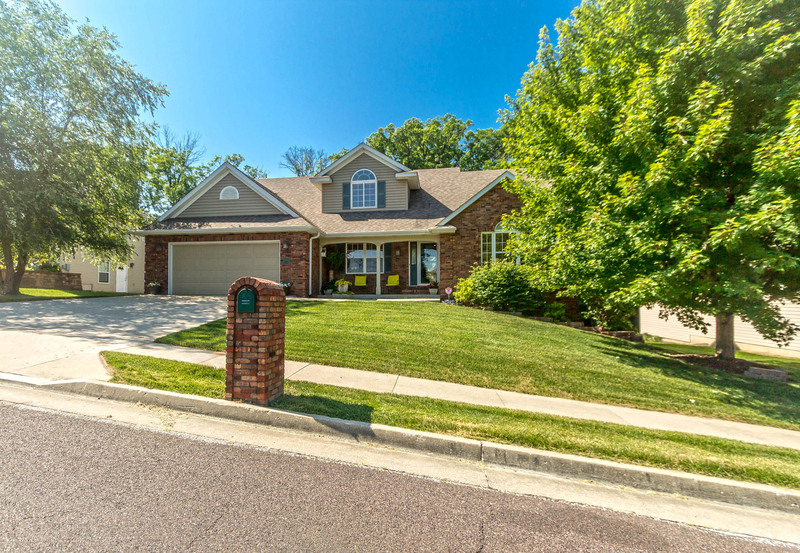 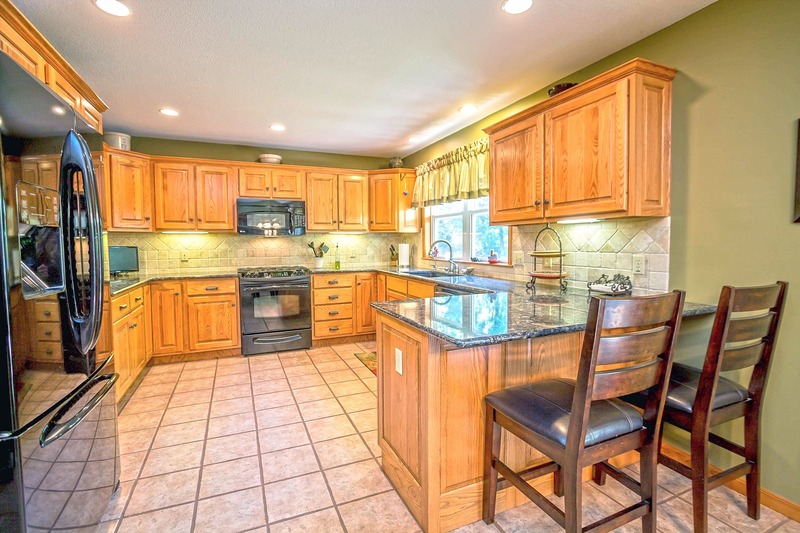 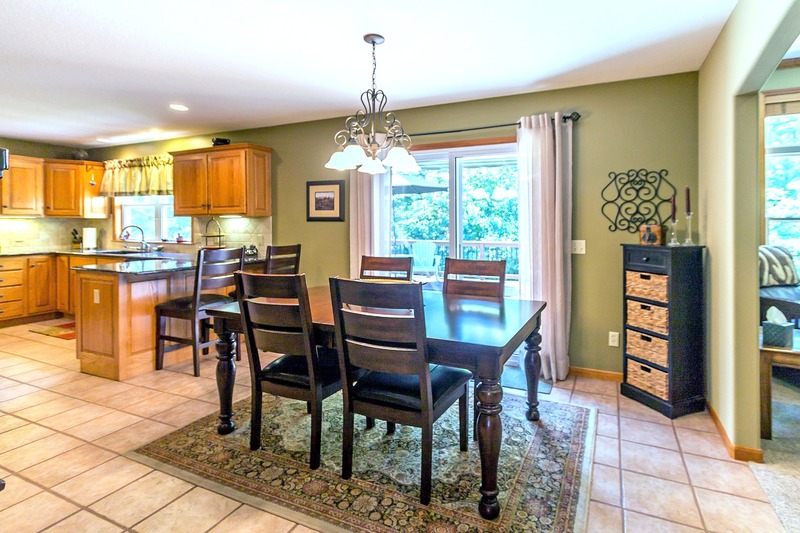 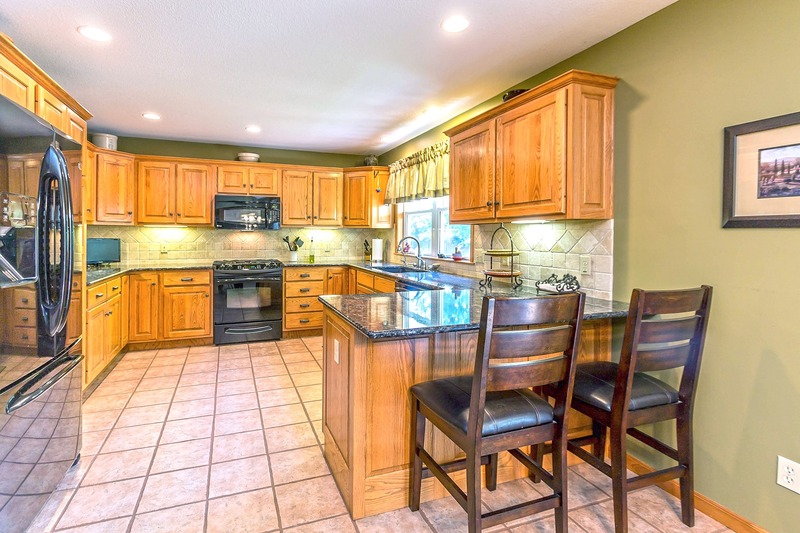 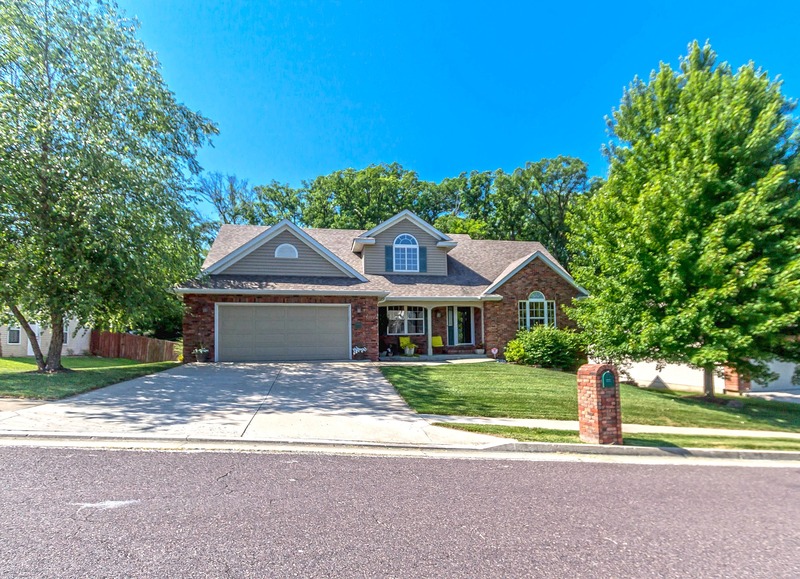 This one-owner home was custom-built in 2001, and has been lovingly maintained and enjoyed! 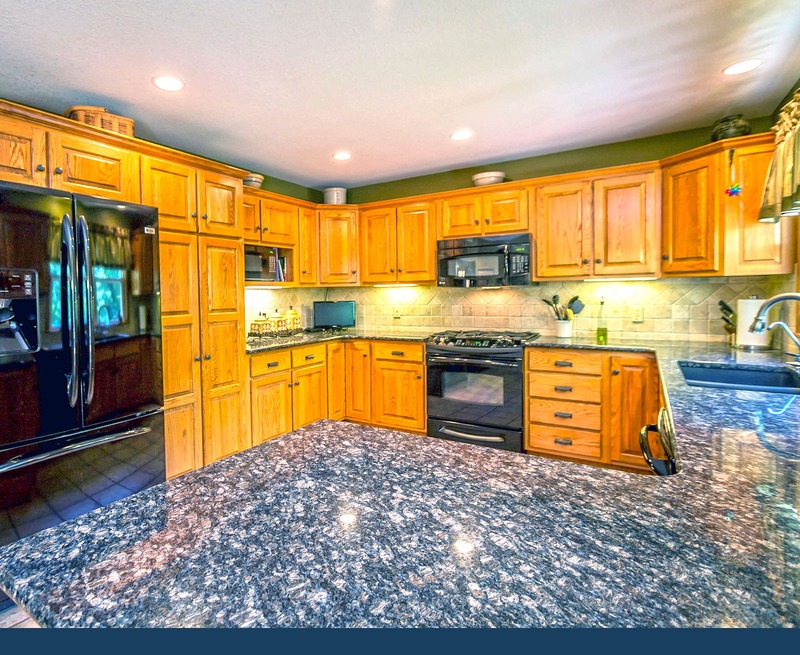 Open and bright Living Room featuring custom built-ins and a gas fireplace, Kitchen with backsplash, granite counters, breakfast bar, pantry and tons of cabinetry! 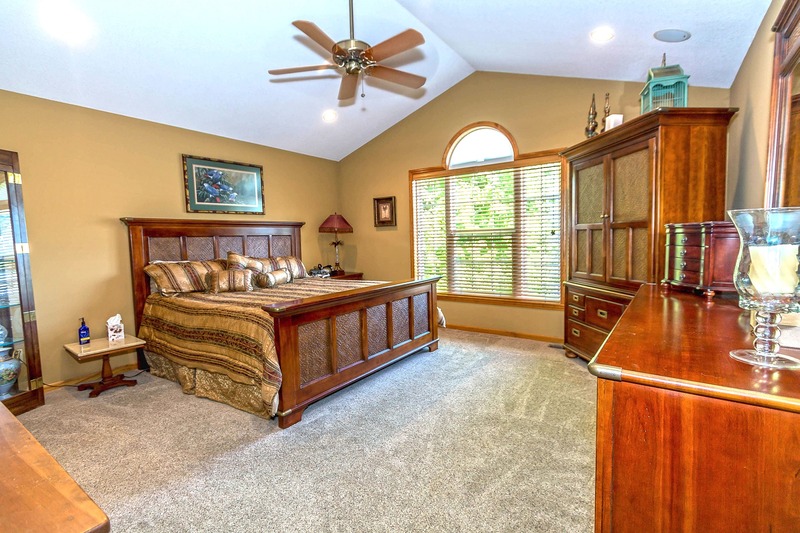 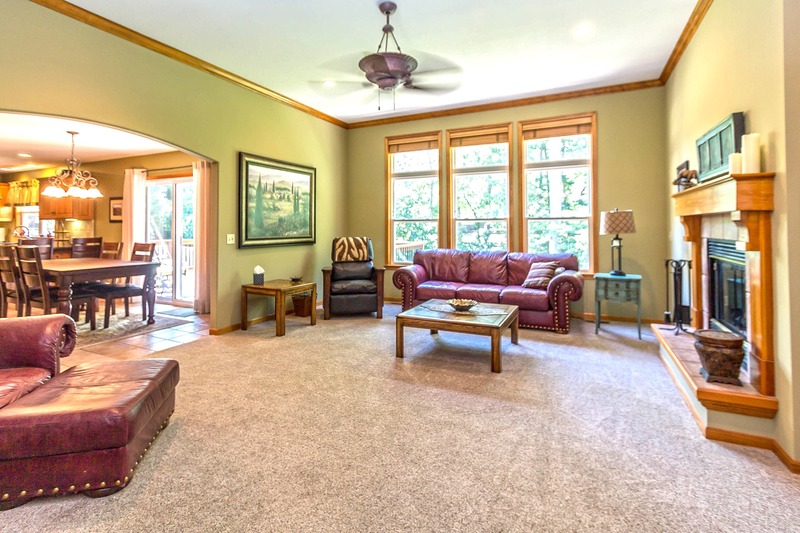 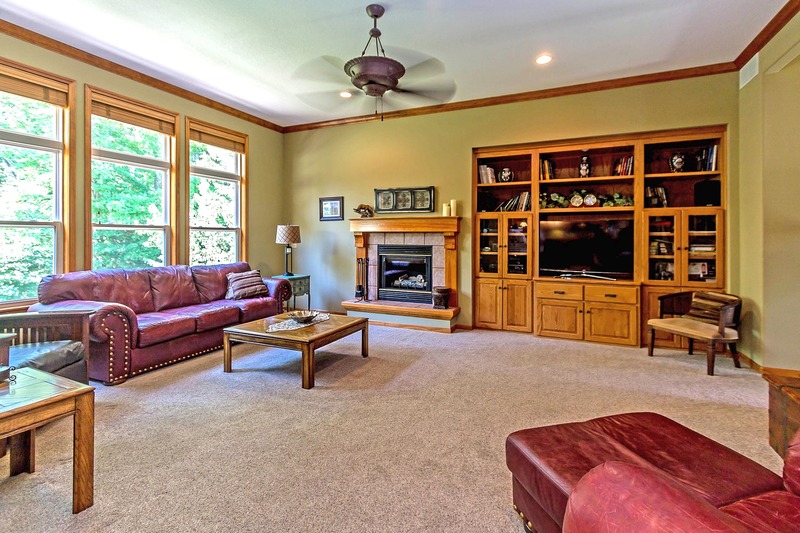 The main floor Master Bedroom has relaxing wooded views, a vaulted ceiling, and two walk-in closets. 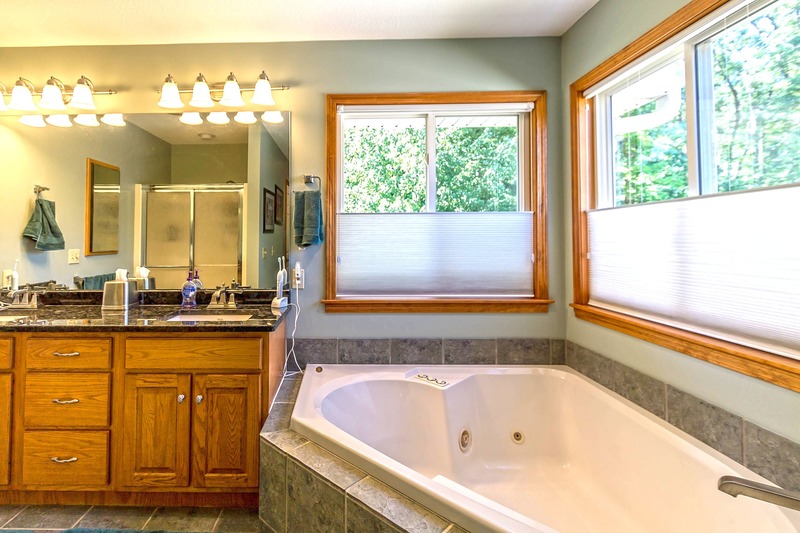 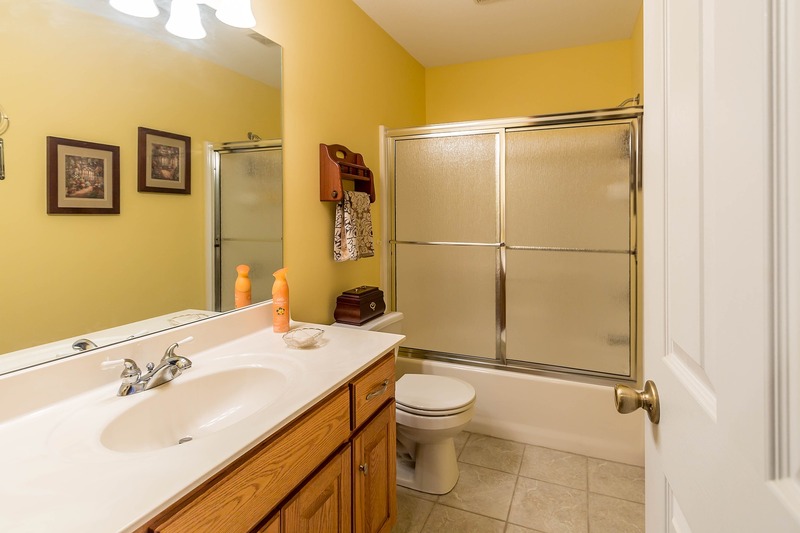 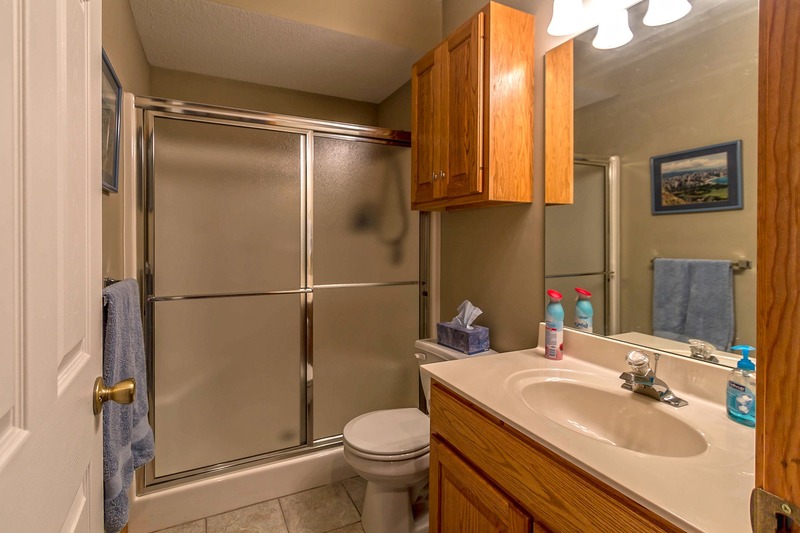 Master Bath has a dual bowl vanity, jetted tub, and stand-alone shower. 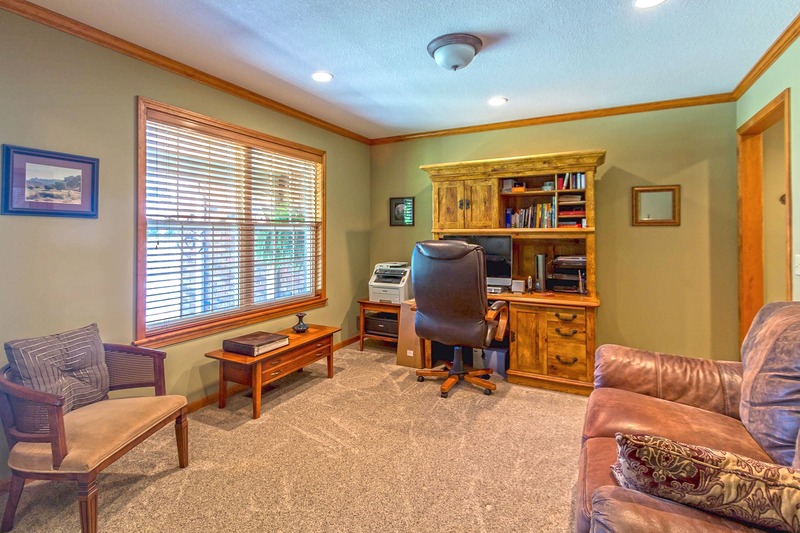 Check out the workshop on the lower level- it's the perfect "man cave"! 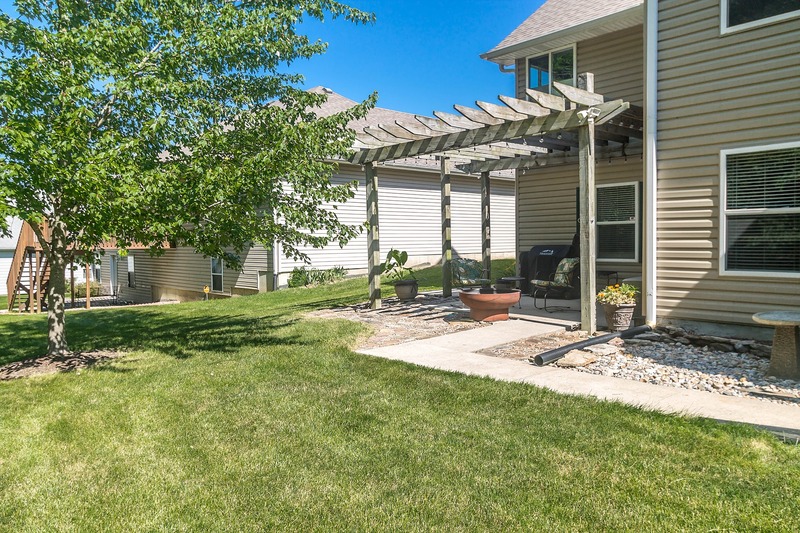 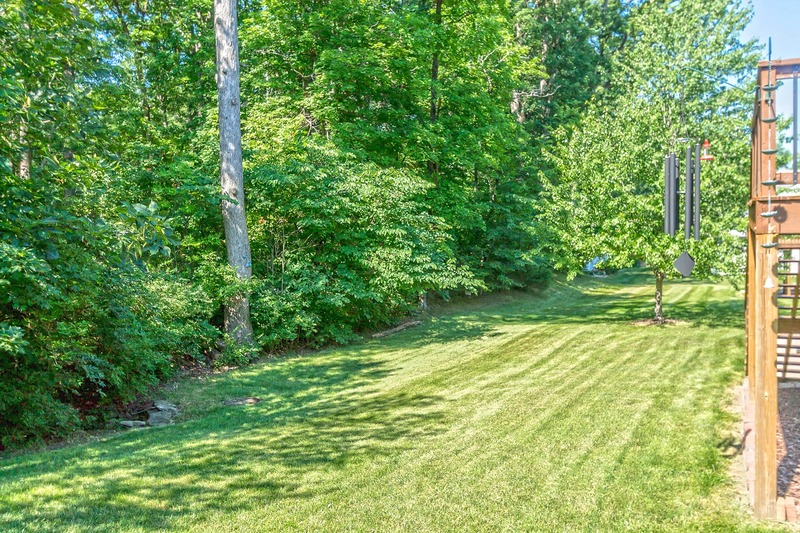 The partially wooded backyard provides a scenic backdrop and privacy! 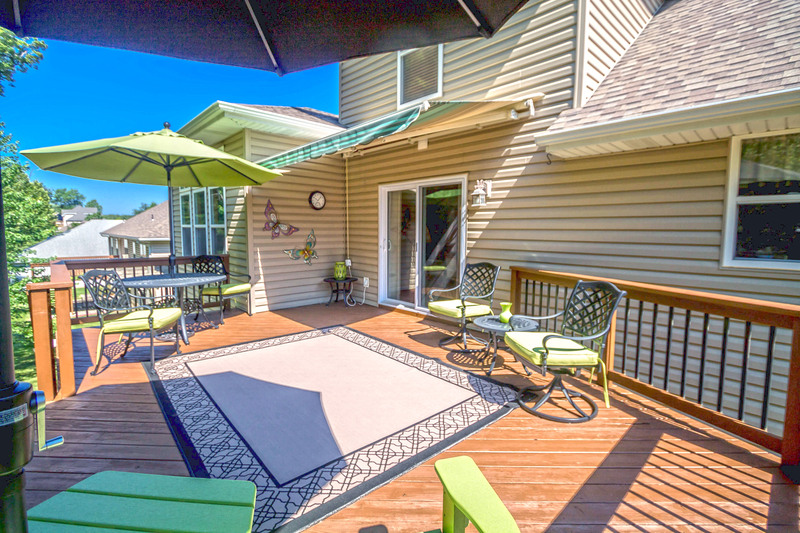 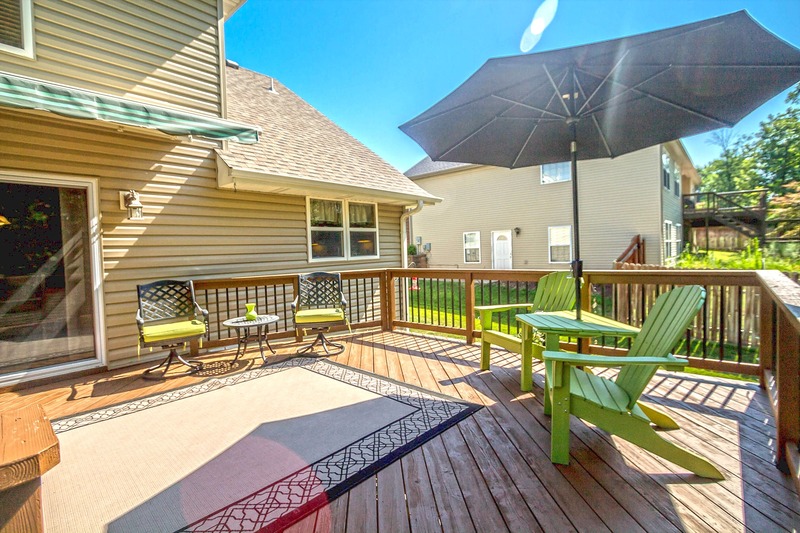 Enjoy quiet mornings on the back deck or BBQ with friends on the lower level patio. 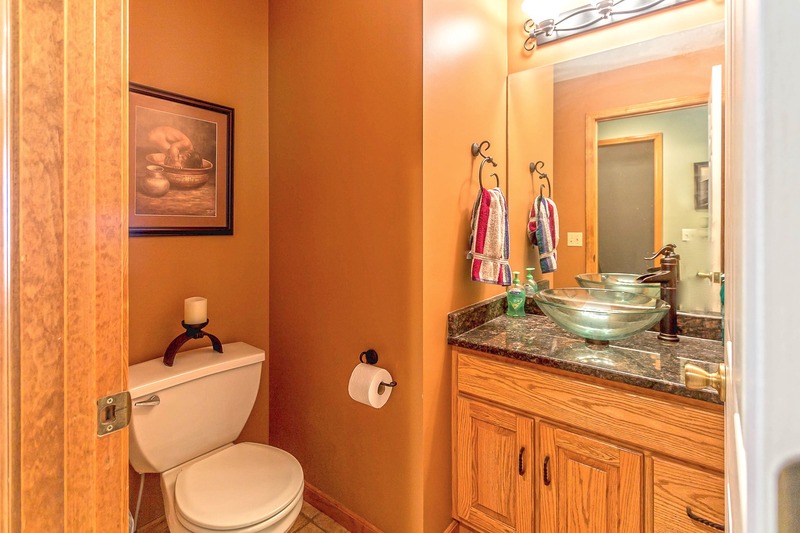 Conveniently located with easy access to both I-70 and Highway 63. 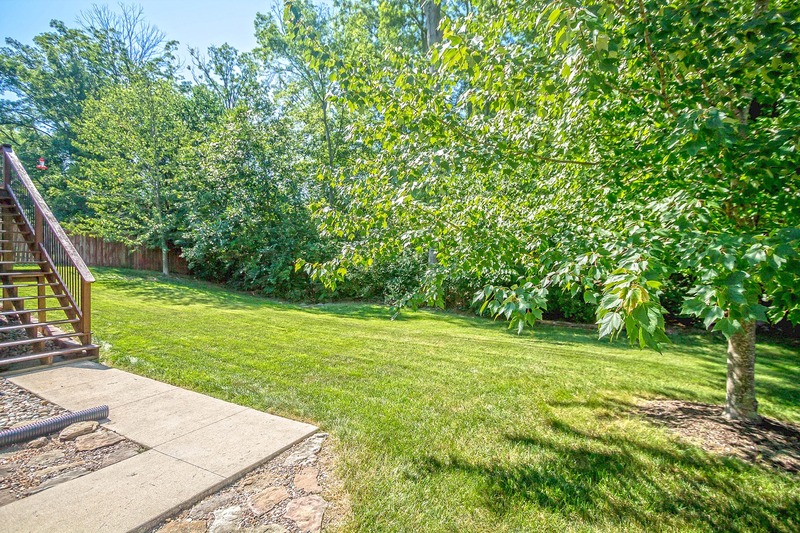 Take a quick trip to downtown Columbia, or hop on the nearby paved Hominy Creek Trail which connects to the Katy Trail!